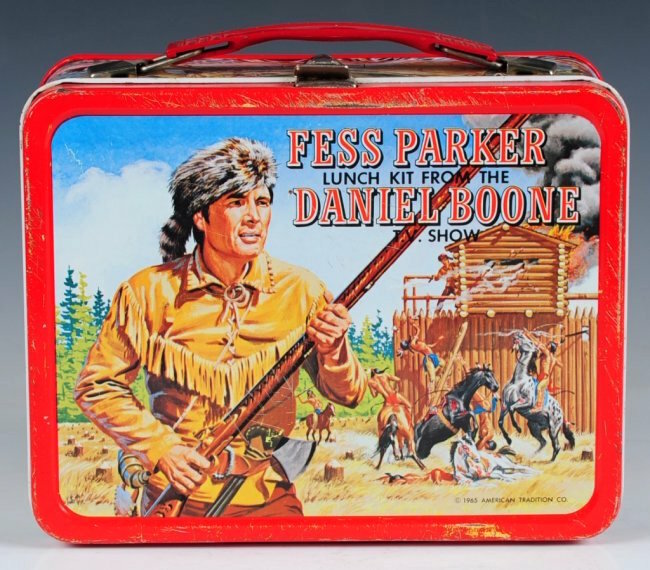 Fess Parker | 50 Westerns From The 50s. DVD Review: Daniel Boone – The First Season (1964-65). Since starting this blog and allowing myself to really wallow in 50s Westerns, it’s been interesting to note how many of the 50s Western “practitioners” made the move to television in the 50s and into the 60s. For them, it probably wasn’t a real decision — they simply went where the work was. 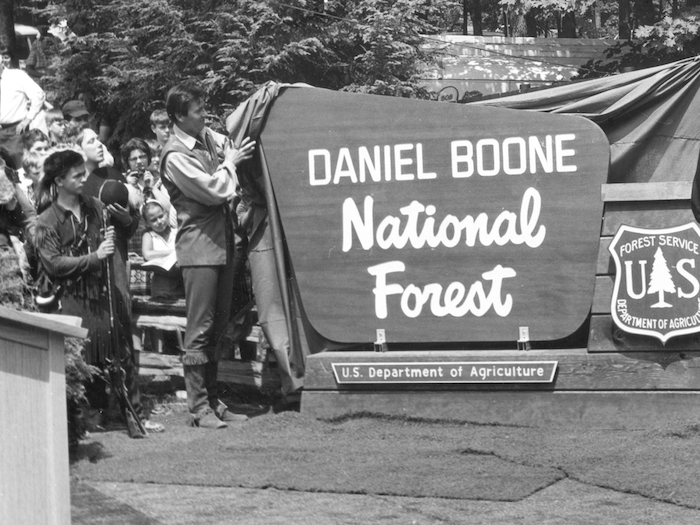 Daniel Boone (1964-70) is one of the programs that really benefited from the Western pedigree of its cast and crew. Boone was developed to leverage Fess Parker’s incredible popularity as Disney’s Davy Crockett. Fact is, the show was to be about Crockett, but Disney wouldn’t give up the rights. Shout Factory has released the show’s first season in a 6-disc Collector’s Edition — 29 episodes with bonus material. Making your way through the set, you’re immediately struck by the familiar names and faces. This first season, the only one not in color, supplements its regular cast — Parker, Patricia Blair, Albert Salmi, Ed Ames, etc. — with the likes of Claude Akins, Dan Duryea, James H. Griffith, Jay Silverheels, Robert J. Wilke, Michael Pate, John McIntire and Hank Worden. Directors include Joseph H. Lewis, George Sherman, Thomas Carr, Nathan Juran and George Marshall — who all some some outstanding 50s Westerns. The first episode, “Ken-Tuck-E,” directed by Marshall, was written by Borden Chase and shot by Carl Guthrie. Quite an impressive bunch. The set looks terrific, with print quality varying a bit from episode to episode — but solid overall. The extra stuff is well done. And as for the shows themselves, I’ve always felt this first season was stronger than what came later. But you know, Parker’s so likable, that hardly seems important. Recommended. 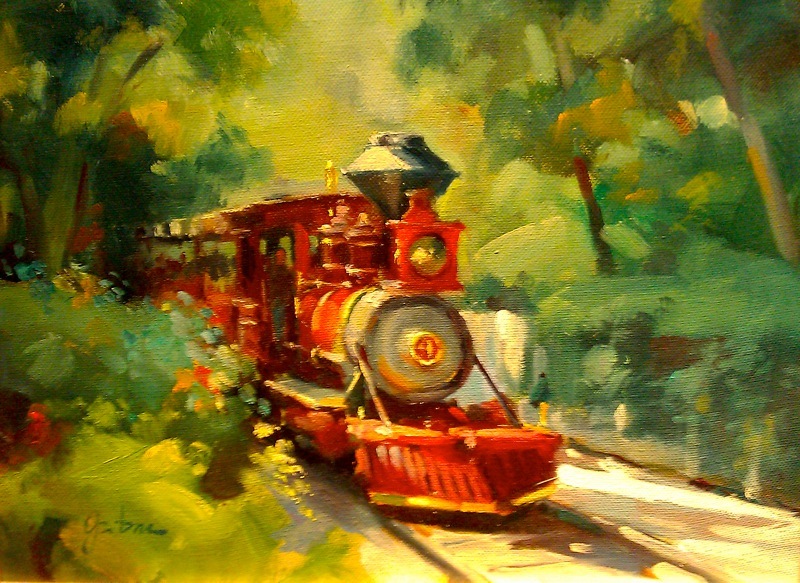 The Great Locomotive Chase (1956). Came across this in the Art Of Disney store at Downtown Disney. It reminded me not just of the Disney World Railroad, but of The Great Locomotive Chase (1956), Disney’s “remake” of The General (1926) — both pictures are based on the same event from the Civil War, Andrews’ Raid. 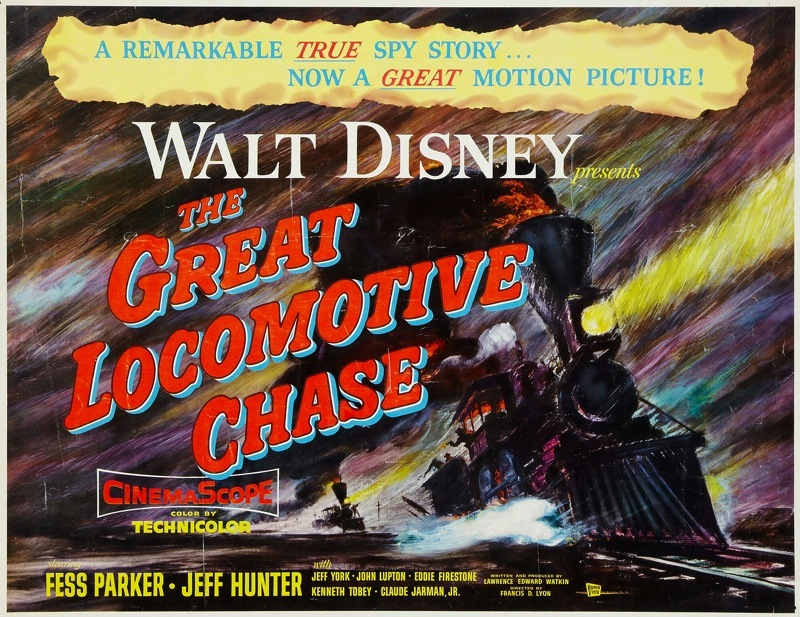 Released in June 1956, The Great Locomotive Chase was not a success, which is a shame, since it’s got some good performances and some really great train footage. However, another Jeffrey Hunter picture from the same year, The Searchers, did quite well.